From custom engineering to moving your system, LSM Tech offers services unique to the laser microscope market. We do custom integration adding the latest detector or laser technology to your existing system. Our optics upgrades and emission filter designs could greatly enhance the performance of your system. We would be happy to discuss our custom solutions with you. 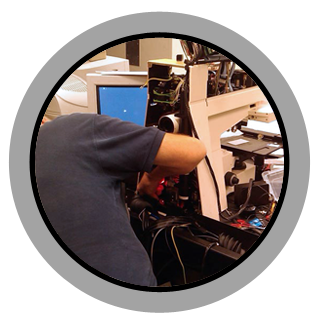 LSM Tech provides engineering services that enable you to utilize the newest laser technologies by providing the necessary steering, combining and filtering optics to bring the beam into your microscope. For systems not covered by our convenient service agreement, we offer per-call service visits. You may call at anytime and schedule a service visit. For this service visit the customer will be charged for the service engineer’s time (including travel) as well as for any parts that may be required to service the system. During this visit and with your approval, we will also perform a preventive maintenance service, which includes a functional and alignment check. 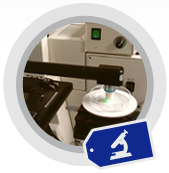 We provide microscope relocation services. If your system has to be moved, we can do it! Down the hall or across the country, LSM Tech can move your system and restore it to peak operating condition at its new location. The system is reinstalled and aligned to its original factory specifications. If you are interested in service on your LSM 510, please fill out the following questionnaire and click submit to send to us for review. Is the LSM 510 a META system? What is the microscope stand? What laser lines does the system have? What type of GUI software is it using? What version of Windows do you presently have? When was the system last serviced? Is it currently under a service agreement? Is the system working properly now with no errors? If no, please list errors. What is the air table size and thickness?